We will provide you with a well researched, written market evaluation showing values of recent sales, current competitive properties and recent expireds, all of which will help us determine an appropriate market price. No two marketing plans are identical. We will develop a plan that is specific to your property and that will yield the desired result. We have many resources to market your property globally and also to specific market niches. These efforts will ensure that you receive the best dollar return in the current market. 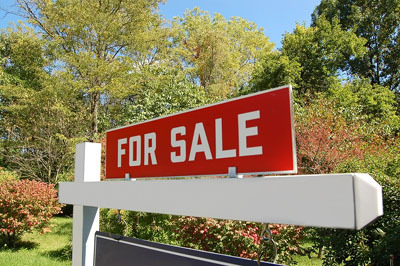 We will keep you apprised of each step in the process of selling your property. We will tell you precisely how it is being marketed and keep you informed about showings, feedback from potential buyers and their realtors, etc. Sometimes in business transactions it feels like the interests of the other party are the priority. Our only mandate is to earn your long term loyalty and trust by representing your best interest aggressively and with total integrity. We will review all offers with you personally. We will point out their strengths and deficiencies and we will represent your interests in all negotiations. We are committed to being there every step of the way - before and after the sale. We will provide post-closing information, consultation and services that may be of value to you as a new home owner. And, of course we will be available to assist you with future real estate needs. As your DFH Real Estate Professionals, we are 100% committed to providing the best possible service to you, our client. If you are not completely satisfied, you may terminate the balance of this listing at any time by giving written notice to our manager.